Beautiful day before the official first day of spring at Healing Waters Lodge. 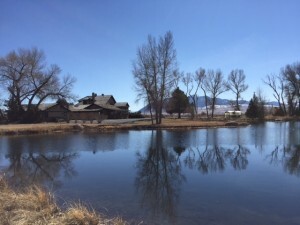 The pond is thawed out, trout are swimming around, and the birds are chirping all over the place. Time to get the lodge ready for the 2016 season kicking off with the “Fish Like a Guide, But Live Like a Client” fly fishing schools in April and in May.